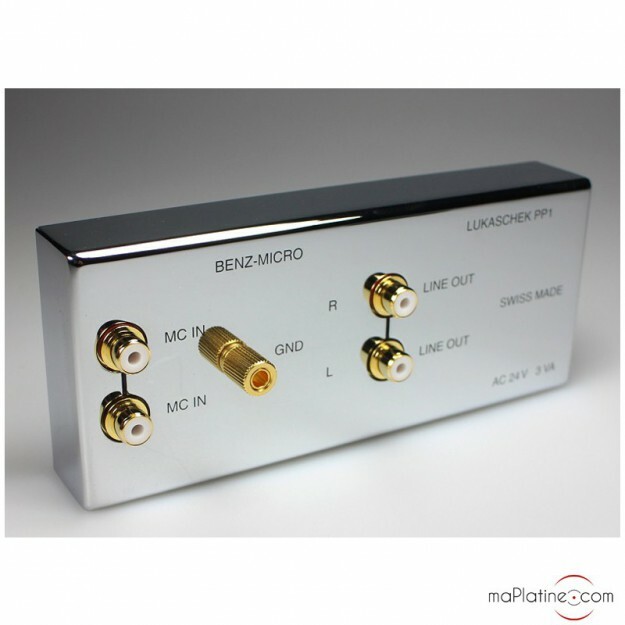 Phono preamplifier for low output MC moving coil cartridge. 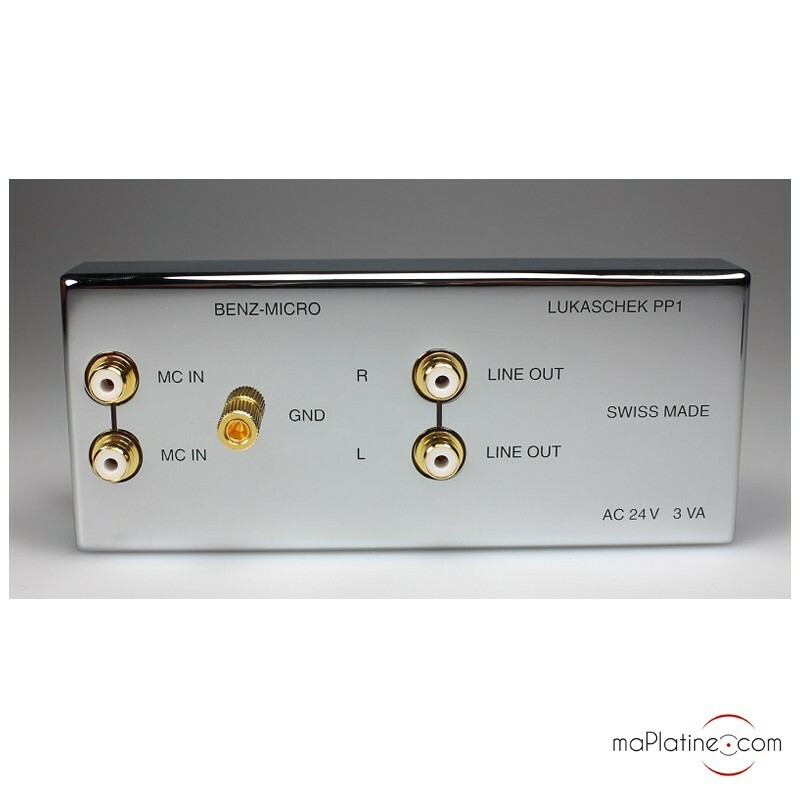 This BENZ MICRO LUKASCHEC PP-1 MC phono preamplifier looks like an unusual large remote control box. But that's where the comparison stops! The mirror polished stainless steel finish is beautiful! 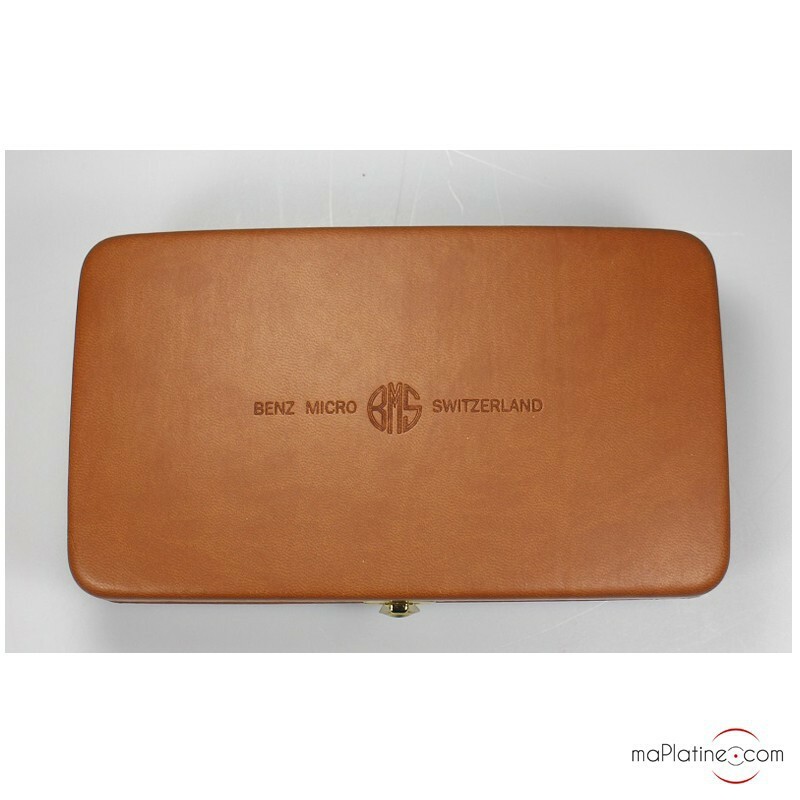 Like a luxury watch, it comes in a beautiful shrine … Typical Swiss quality! The connectors are basic yet of very high quality. 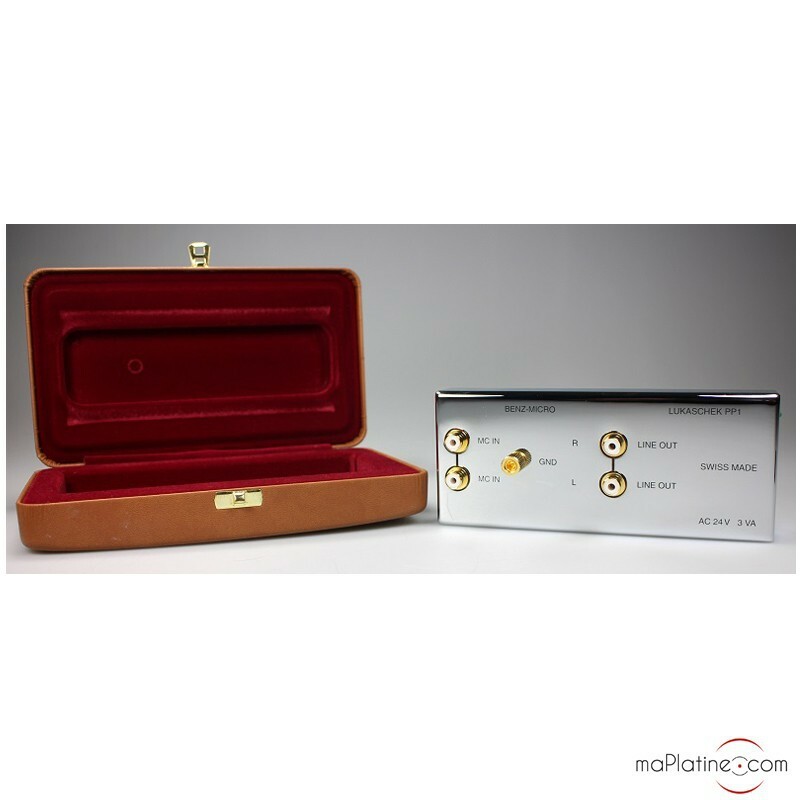 Two pairs of beautiful gold-plated PTFE-insulated RCA cables with a gold-plated ground plug. It is powered by a conventional outboard power supply unit. The gain is set to 62 dB and the load to 22 kOhms. 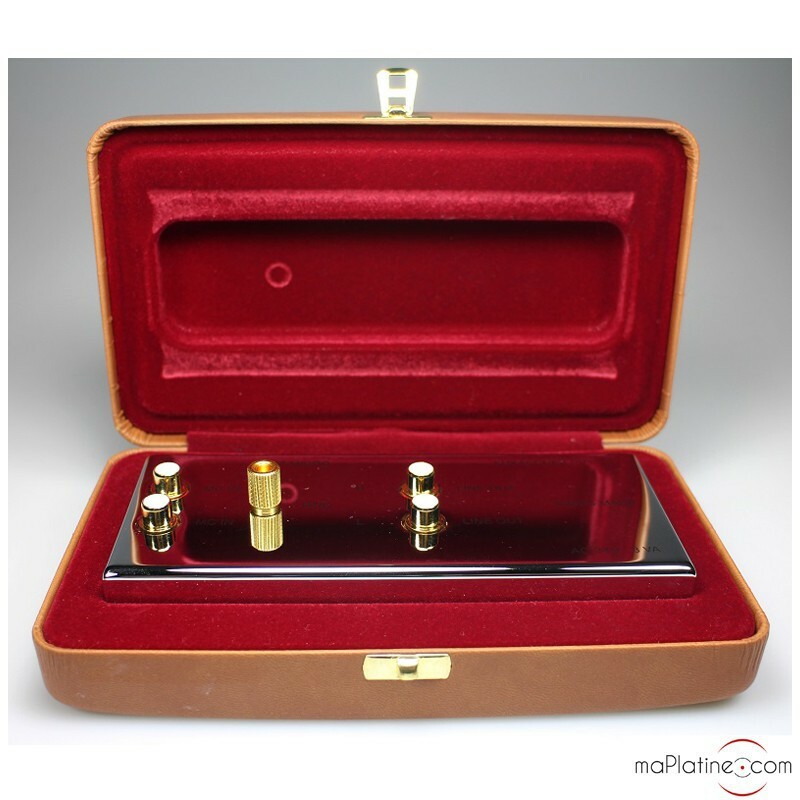 Therefore, it is only compatible with low output moving coil (MC) cartridges. Important note: most MC cartridges require a load below 500 Ohms. When an MC cartridge does not have enough load, this results in a reduction of high frequencies. However, a load that is too high can (though that is not always true) create resonance peaks in high frequencies. By design, Benz cartridges are not sensitive to high impedance loads. The PP-1 is very silent and transparent, the signal seems to be rid of any distortion. You'll be surprised by the clean sound and the clear quality of the vocals and brass sections. The sound stage is very authentic, with true '3D' effects for orchestral pieces. The timbres are superb and the combination with Benz cartridges seems an obvious choice. Compared with other products in this price range, the combo gives unrivalled realism and presence to the musicians and instruments. Admittedly this PP-1 is not the most multipurpose phono preamplifier ever and, as you know, it was designed by Benz Micro for Benz Micro. 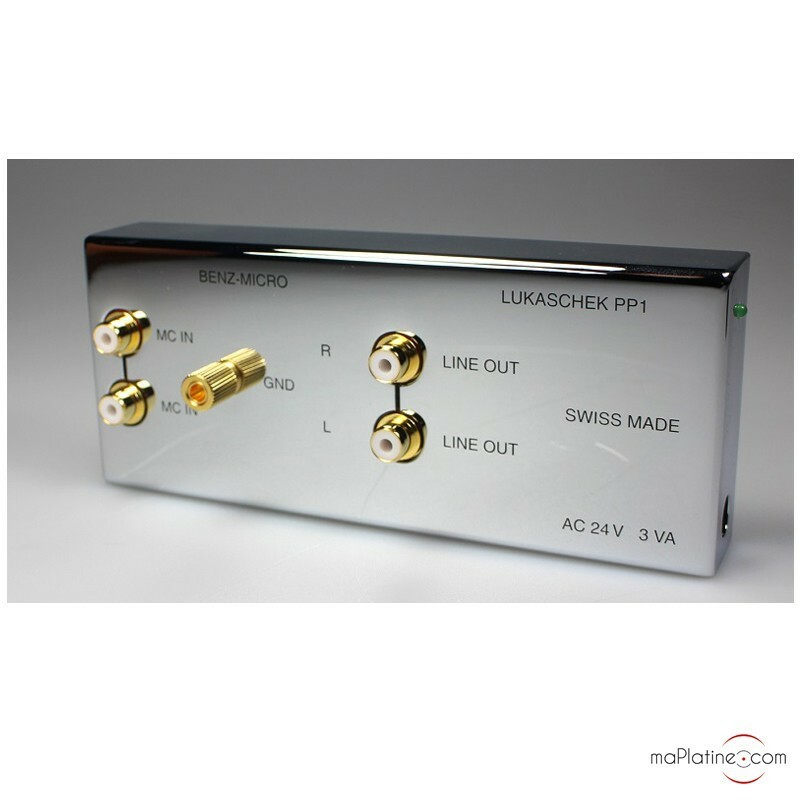 But if you are lucky to own a BENZ Ace, Glider, Ruby, LP cartridge and other low output models, then this Lukaschec PP-1 is the BEST way to get the most musicality out of your system for a reasonable price … Highly recommended!